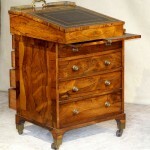 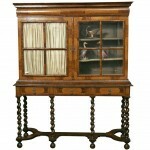 A beautiful example of the earliest form of a Davenport Desk in a very small size. 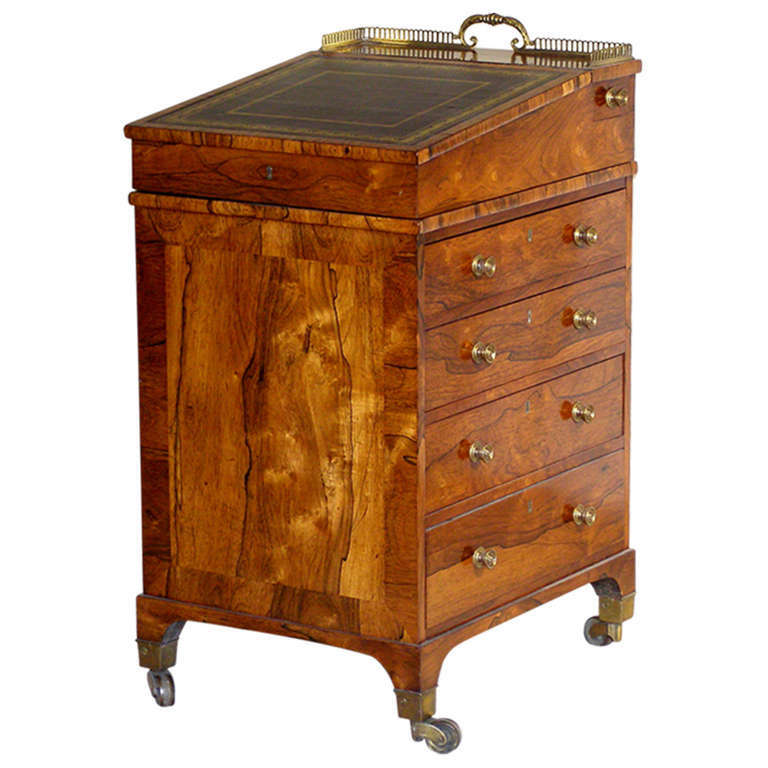 The exquisite amber and black Brazilian Rosewood combine with perfection in cabinet making skills make this a prize for any collection. 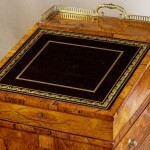 It has a gold tooled inset black leather writing surface, a brass gallery and the original two silver plated ink wells contained in a fitted little drawer for writing implements. 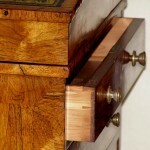 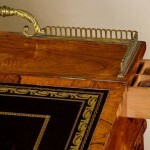 The top lifts to reveal a compartment for papers and a brass pin which, when removed, allows the top to swivel to one side so a chair can be pulled up to write at it. 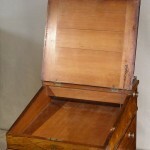 In addition it has a writing slide at the top left above a series of four false fronted draws. 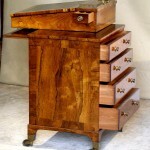 On the right side are four graduated drawers with brass pulls. 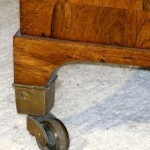 The entire case sits on short legs fitted into brass casters. 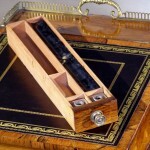 It has the unusual feature of using aromatic red cedar for the secondary wood.